Drying is a critical step in the manufacture of products from salt dough. After all, it's terrible when you have invested a huge amount of effort, imagination, creating salt dough is a work of art, and the result is bad drying all your hard work was in vain. In order not to experience such frustration, to dry items made from salt dough properly. Dry the product in open air at room temperature. This is the simplest method of drying. Remember that the thicker the product, the more time will be required for its drying. On average, for 1 day, the product dries to 1 millimeter deep. In summer, check the Board and spread out her articles in the sun – so the work will dry faster. Dry the finished product in the oven. This method will take much less time than the previous one. At a temperature of 75 degrees products medium size dried 2 hours at a temperature of 100-125 degrees for an hour, and at 150 degrees for half an hour. If you want to brown the product, it should be done, heat the oven to 200 degrees Celsius and under continuous surveillance. In a gas oven for drying of products from salt dough is required in 2 times less time than when using electrical oven. 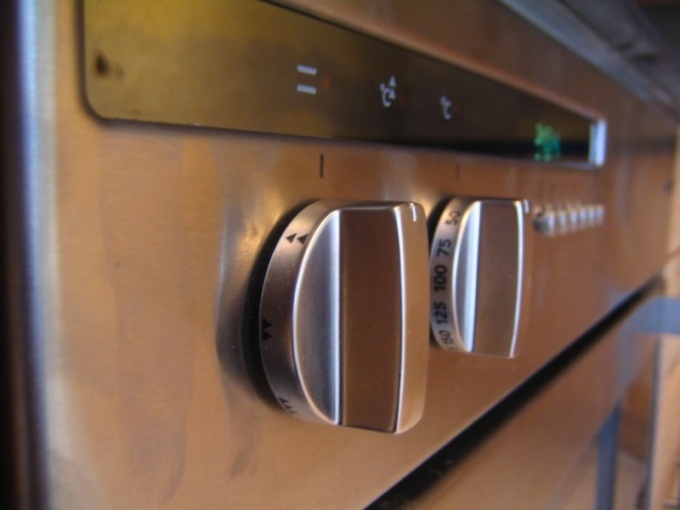 Adjust the temperature of opening or closing completely the oven door. In winter you can also dry salt dough crafts on the radiator. Put the product on the cloth or foil, place on a radiator and leave to dry. If your products are very bulky, you can use a combined dryer. Dry for a few days and crafts in the open air, and then dosushit in the oven. Don't even try to dry the crafts in the microwave. To determine whether dry hack you can, tapping the index finger. A dull sound will mean that the product inside remains moist and should for some time be left in the dryer. To your product from salt dough is well preserved, after painting coat them with varnish. You can use both glossy and Mat lacquer. If you want to brown products – dry it in the oven at a suitable temperature, and then increase it to 200 degrees. Without departing from the oven wait until the hack will acquire the desired shade. Have a wonderful and safe ornamental material, which can be used for modeling. It is easy to use, cheap, and environmentally safe, so it can work even very little kids who are just learning to develop their motor skills and coordination. We are talking about salt dough. This material is not only highly plastic, but is painted perfectly, even with water-based paints – gouache and watercolor. How to dry salt doughso that it is not cracked? The most economical way to dry the finished product made from salt dough in a well-ventilated room or outdoors at room temperature. Naturally, the thicker will be the details of your crafts, the longer it will dry. In this way it is convenient to dry the product at first. The only thing that should be remembered under its own weight in contact with the surface of the table, the product may be deformed. In this method of drying, the color of the craft has not changed and remains as white as flour. 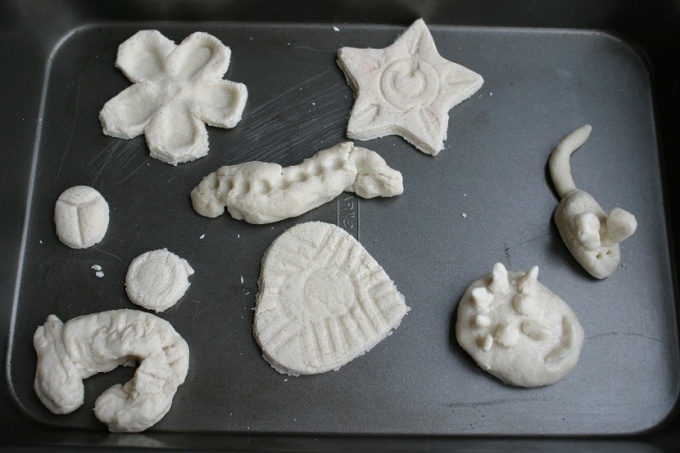 Salt dough can be dried in the oven gas or electric cooker. Pre-dry it a couple of days outdoors. Then heat the oven to 50 degrees. The pan, which will dry the product, cover with foil or a sheet of baking paper and sprinkle lightly with flour. Hack transfer it with the help of cooking blades or broad knife. Place baking sheet in oven and dry, gradually increasing the temperature, but not above 130-150 degrees. Drying medium-sized works will take time-3 hours if the temperature is maintained at around 50 ° C and 0.5 hours at a temperature of 150 degrees. But it is better not to hurry and make the temperature is not very high because the dough can swell and crack. Cracks can be cover up by mixing PVA glue with flour and covering them with a brush. The readiness of the product determine by the sound. If it is completely dry inside, knock on it, you will hear a ringing sound. The crude product will publish a deaf sound, and it needs to continue drying. The mass of dough and the salt retained its plasticity, from drying prematurely and not cracked, in the room where you will sculpt their crafts, should not be very high temperature is above 20 degrees. It is desirable to maintain high humidity, so the dough doesn't dry out, and you can easily connect all parts into a finished product.